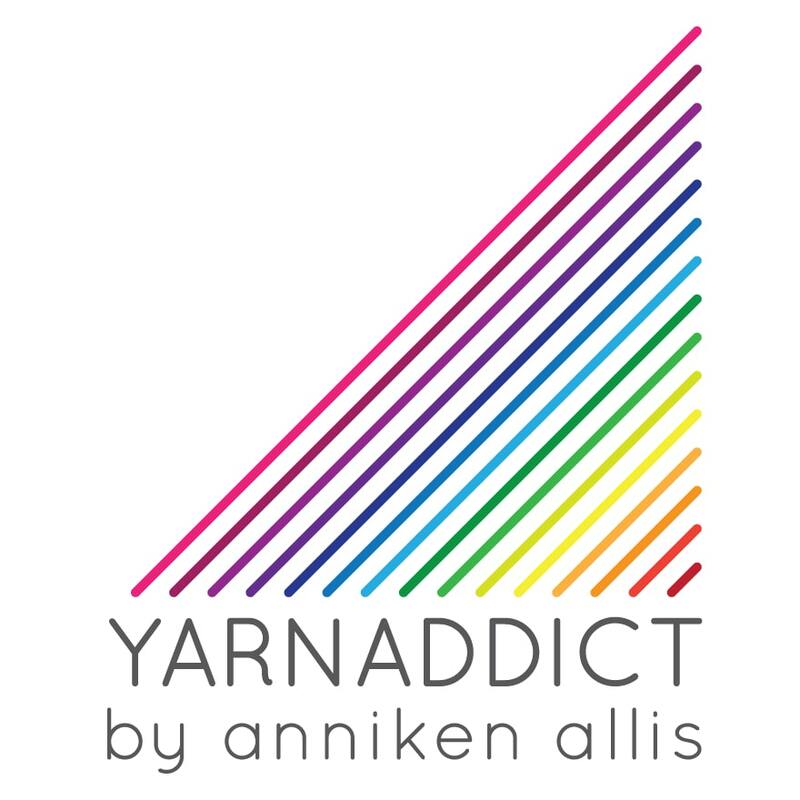 Confessions of a YarnAddict: Learn something new this spring and summer! Learn something new this spring and summer! My Spring and Summer Workshop programme is about to kick off. I'm delighted to say that Spin A Yarn has booked several more workshops over the coming months. You can see them all here. April and May will be especially busy with several workshops in Devon, Cornwall, South Wales and London. I asked a few of my Love of Lace Knitting group members what they enjoy about taking my knitting workshops. My first April workshop will be at Wool Palette at the Royal William Yard in Plymouth, Devon. We'll be doing a project workshop for the Mar Menor and Daisy shawls. Both shawls have similar stitch patterns but different shapes. 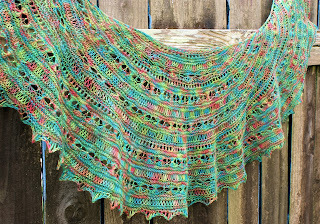 In the morning you'll learn how to knit the different stitch patterns and in the afternoon you'll get to start your own shawl. You will get one of the patterns for free. Find more details here. Fair isle knitting is really popular at the moment and my Fair Isle Knitting & Steeking has been one of my most popular workshops over the last six months. 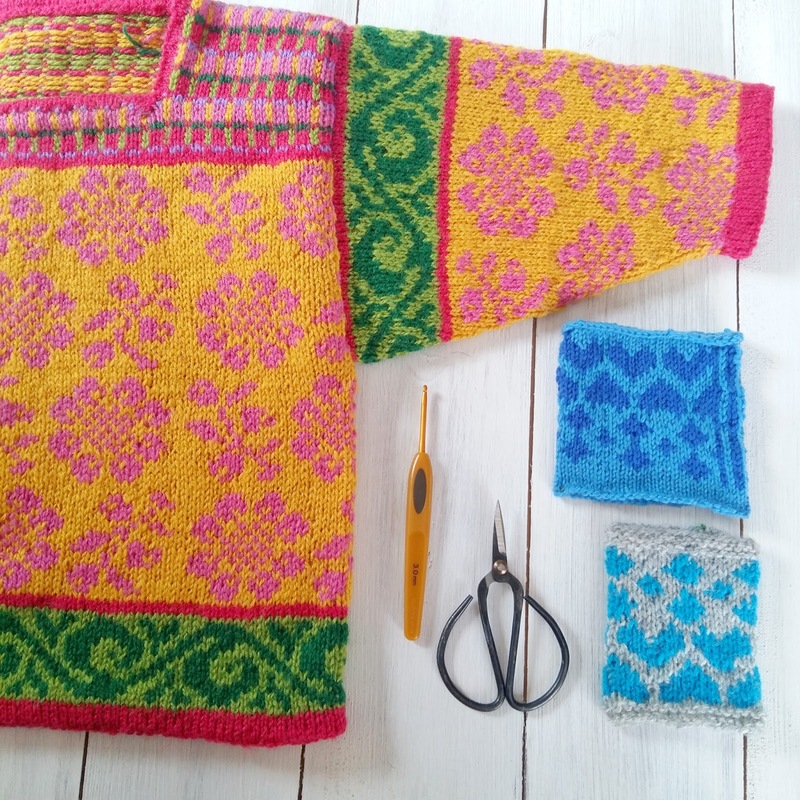 In this workshop at Spin A Yarn in Bovey Tracey, Devon, you'll learn how to knit with one colour in each hand, I'll share all my stranded colour work tips and tricks and you'll learn how to cut your knitting. Steeking enables you to knit a garment in the round, then crochet a seam to re-enforce before you cut your knitting to create an armhole or turn a sweater into a cardigan. Techniques learnt in this class can also be used to make alterations to garments. Find the details here. 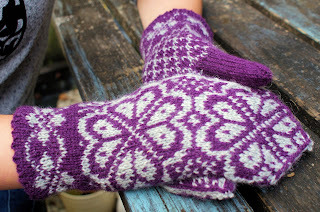 Selbu mittens are traditional Norwegian mittens which feature stranded colour work patterns. 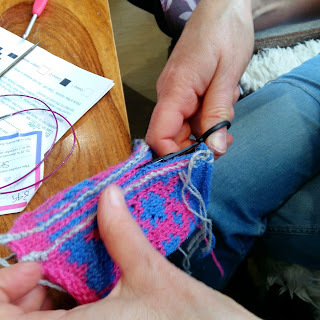 You'll learn how to knit in the round using the magic loop technique, how to knit with one colour in each hand and how to shape the mitten. You'll get a pattern to take home. I taught this class to a group of ladies yesterday and they all really enjoyed it. I'm teaching this workshop at Spin A Yarn in Devon and Truro Wool in Cornwall. Shetland is known for delicate, very fine shawls but Shetland lace knitting doesn't have to be difficult. In this class at La Mercerie in Cowbridge, South Wales, you'll get to practice several Shetland lace patterns and learn various lace knitting techniques. Suitable whether you've already done some lace knitting or you're completely new to lace knitting. Find the details here. Want to learn how to knit socks? I love knitting socks from the toe up on circular needles using the magic loop technique and I'll teach you how in this workshop at the Wool Palette in Plymouth. You'll knit a mini sock during the class and get a pattern to take home. Find the details here. Do you already know how to knit socks - either from the top down or toe up? Do you fancy learning how to knit some different heels and toes? 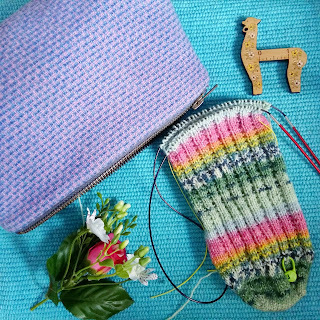 I'm teaching a new workshop at Spin A Yarn in May, teaching you different heels and toes which are suitable for toe up or top down socks, including afterthought heels and perfect short row heels. Find the details here. 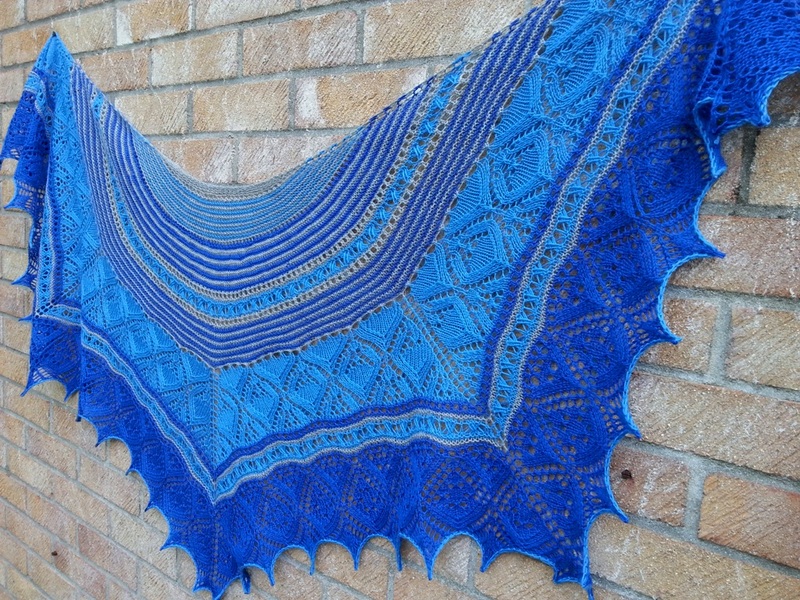 Another new workshop at Spin A Yarn in June is the Carlyon Bay shawl. 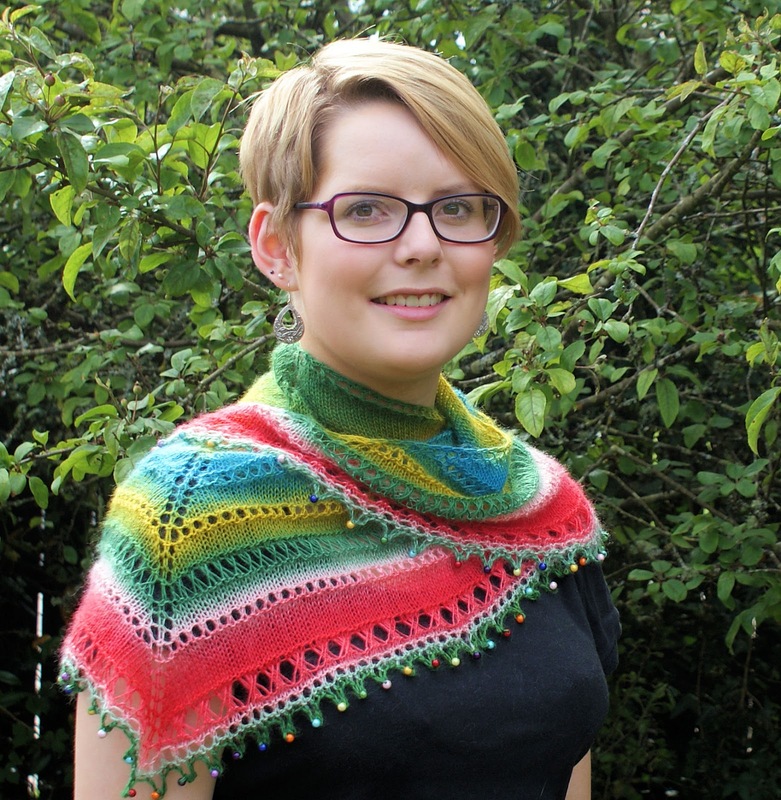 In this class you'll learn how to shape the shawl and how to knit the various stitches required. 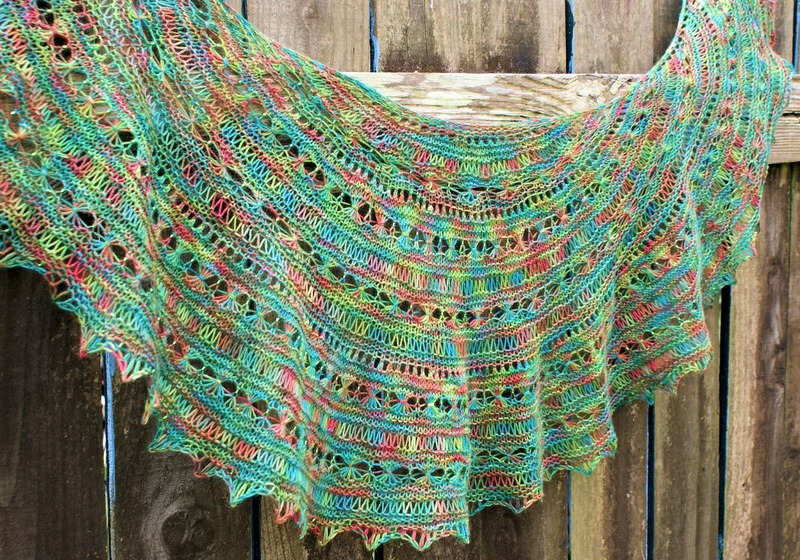 In the afternoon you'll get to cast on for your own shawl. Find the details here. These are just some of my classes this spring and summer. See all my workshops here. Do you run a yarn shop and would like to host workshops? Do you want to get a group of knitting friends together for a day of learning and fun? I'm taking bookings now for the autumn term, which usually books up very quickly. If you'd like to chat about booking workshops, e-mail me on annikenallis25@gmail.com.